Smart thermostats help you get temperatures just right in your home, bolstered by handy extras like remote adjustment and the ability to communicate with other devices around the house. Right now, you can get the Ecobee3 Lite smart thermostat for an all-time low price of $144, or about $25 off its average price on Amazon. Compatible with Alexa-friendly devices like the Amazon Echo and controlled by an easy-to-use app, the Ecobee3 Lite is a good option for smart home novices. We liked it for its clean user interface and sleek design, especially due to the mirrored app, which made adjusting the temperature remotely simple and intuitive. The thermostat earned 3.5 stars out of 5 in our review, which is a solid score for its price point. 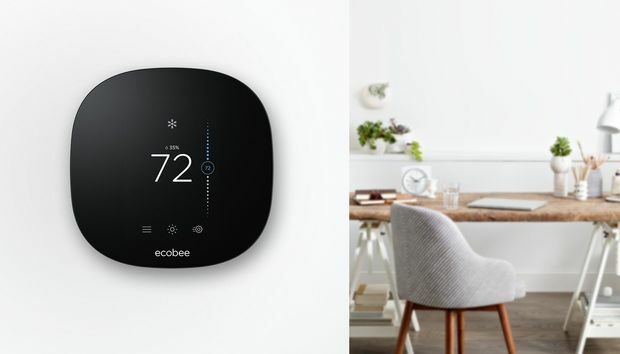 The Ecobee3 Lite has fewer features than the ecobee4, our top-rated smart thermostat, but this deal also puts it at more than $100 cheaper. Also, if you decide you don’t need the ecobee4's included sensors right now, you can always add sensors to the Ecobee3 Lite later for an additional cost. In the meantime, the cheaper version still uses the same app functions and offers the same basic user experience as the more expensive option for much less.